The number adds to 65 others who have so far received mentorship and $ 5,000 seed capital from The Tony Elumelu Foundation’s flagship programme. Some 38 Cameroonians are among 1,000 African entrepreneurs selected for the fourth cycle of The Tony Elumelu Foun- dation (TEF)’s 10-year, $ 100 million entrepreneurship programme. The announcement of the selection of African entre- preneurs with the most innova- tive and high-potential business ideas was made last Thursday in Lagos -Nigeria. 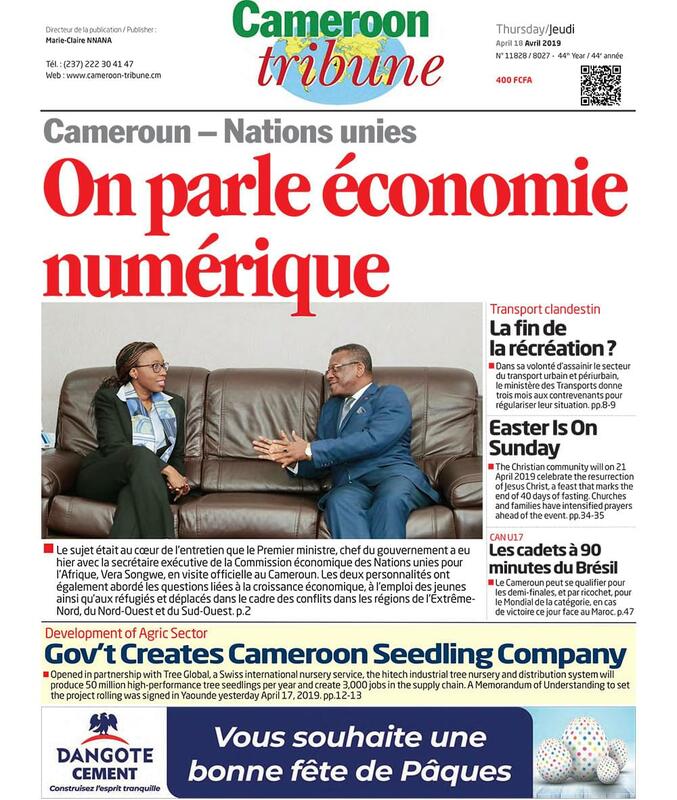 This brings to 3, the number of Cameroonian entrepreneurs who have so far benefited from the programme now it its fourth year. “The number and quality of applicants, 151,000 in total, was outstanding – it illustrates the strength and depth of entrepreneurial promise and commitment on our continent. Selection is never easy, and we profoundly regret that we cannot help all. Our partnerships with the Red Cross, UNDP and Indorama, alongside ongoing discussions with other international organizations, reflect the growing global recogni- tion of what we have known all along that entrepreneurship is the most effective path to sustainable development on our continent and our Programme is the model to follow,” TEF Founder, Tony O. Elumelu said. Going by the Chief Executive Officer of TEF, Parminder Vir OBE, the selected entrepreneurs will in the next nine months receive online training and mentoring, and will use the skills acquired to develop business plans prior to receiving $5,000 (over FCFA 2.5 million) in seed capital. “This will bring TEF’s total Programme investment so far to $15 million (about FCFA 7.9 billion) in direct funding to entrepreneurs and $5.8 million (about FCFA 3 billion) in programme & technology development and operations,” Parminder noted. Cameroonian entrepreneurs selected for this year’s programme are engaged in farming, agribusiness, commerce and retail, healthcare, education and training, consulting, financial services, construction, transportation, ICT, manufacturing as well as media and entertainment at small and medium scales. Officials of TEF said, this year, 151,692 African entrepreneurs from 114 countries applied, nearly doubling the number (93,000) of applications received in 2017 and tripling the number (45,000) received in 2016.